The Queen, accompanied by The Duke of Edinburgh, officially opened the new headquarters of the Metropolitan Police at New Scotland Yard, Victoria Embankment, London. 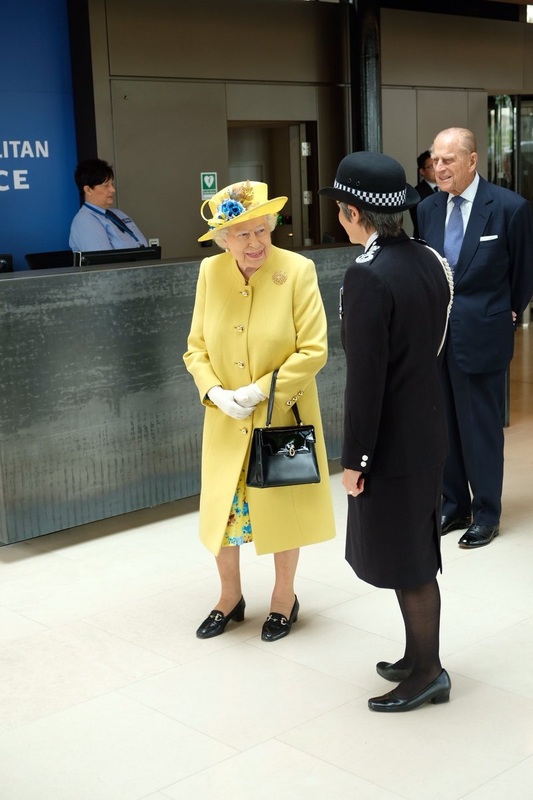 Once again, The Queen's brooch choice has been influenced by the golden buttons on this Stewart Parvin coat, and she's selected the Singapore brooch. It really has become a modern favorite, this brooch.